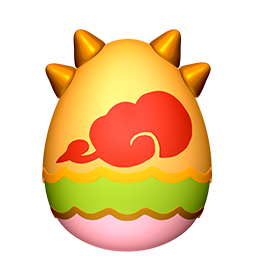 Don't discount the Pigsy Dragon simply because of its affinity for fruit! 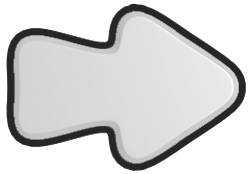 It's a kindhearted and optimistic friend, who will accompany you on any journey -- westward or otherwise. 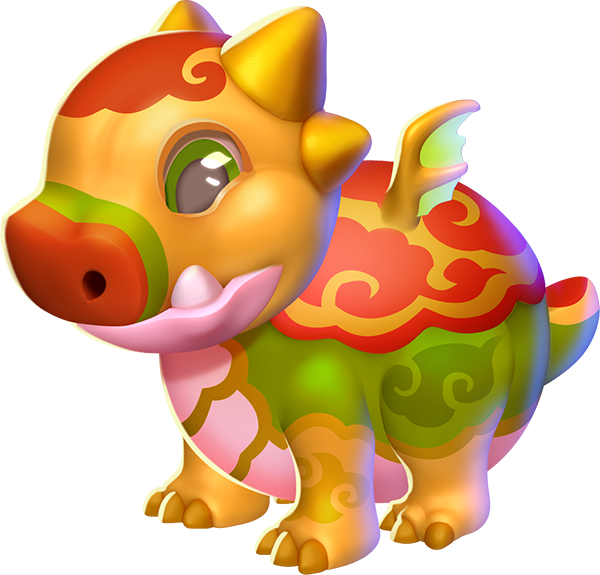 The body style of the Pigsy Dragon is saurian. 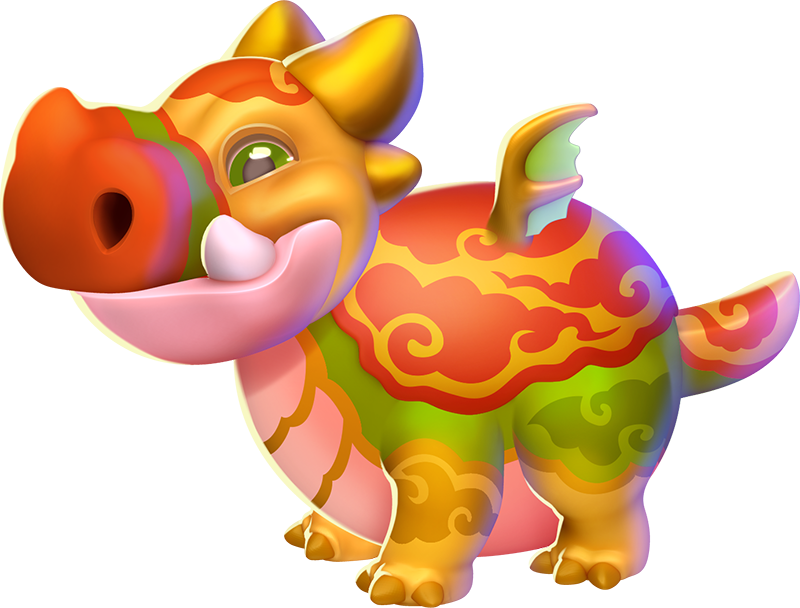 The Pigsy Dragon is an Event-Only Dragon which can be obtained most frequently through one or more of the various events within the realm of Dragolandia. 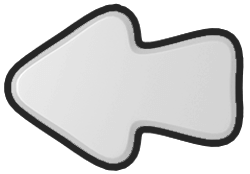 This page was last edited on 19 February 2019, at 12:20.